You can get your painting done quickly with a commercial painting company. It can sometimes be tricky to figure out a good time to paint at your commercial property. You do not want to paint during peak business hours or have to shut down for a few days to paint. You want the painting to get done quickly so that business can go on like usual. You also want the paint to look professional. This is why it is a great idea to hire a commercial painting company like us a Prep-Rite Painting to take care of all of your commercial painting needs. We understand that it is sometimes not possible to shut your business down to have it painted. Whether you own a store, restaurant, or office building, it is important that you do not lose money while painting is being done. This is why we will work with you to come up with the best time for us to paint. We will work with your schedule to make sure that everything runs smoothly. We will also work quickly so you are not inconvenienced for longer than is absolutely necessary. 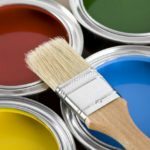 Our team of experienced painters is what makes us a great commercial painting company to work with. We do quality work and pay close attention to details. We have been in the painting business for over two decades and we know how to get a job done right. We can help give your commercial space a new look and help freshen everything up. If you are looking for an excellent commercial painting company for your commercial building in the Apex, North Carolina area, contact us today at Prep-Rite Painting. We will get the job done quickly and we guarantee you will be pleased with the results.